If you are looking for a weekend getaway at an affordable price, then a must is a Dublin Family Getaway. 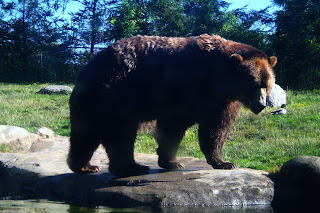 There are family-friendly packages that offers the best hotel rates and discounted tickets to the Columbus Zoo, Zoombezi Bay, COSI and ZipZone Canopy Tours. Families can choose from the attractions to build a getaway that caters to their interest and budget range. You can get full details on the package here. Even though we live in Ohio, we have never explored Dublin. 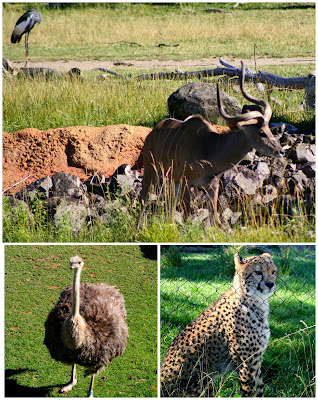 We have hit the zoo once when the kids were little, but never explored this beautiful city and all it has to offer! 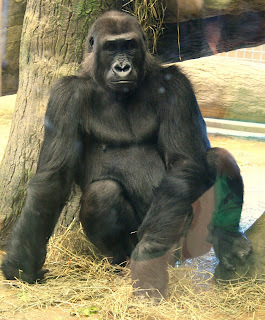 On this adventure we opted for the visiting Columbus Zoo, Zoombezi Bay, Historic Downtown Dublin and other cool sites. Today you will here about Columbus Zoo and Zoombezi Bay, then in part 2, we will take you on a fairy door adventure and more! Each region is themed for the particular area of the world they are representing. There are food and souvenir shops in each region as well! 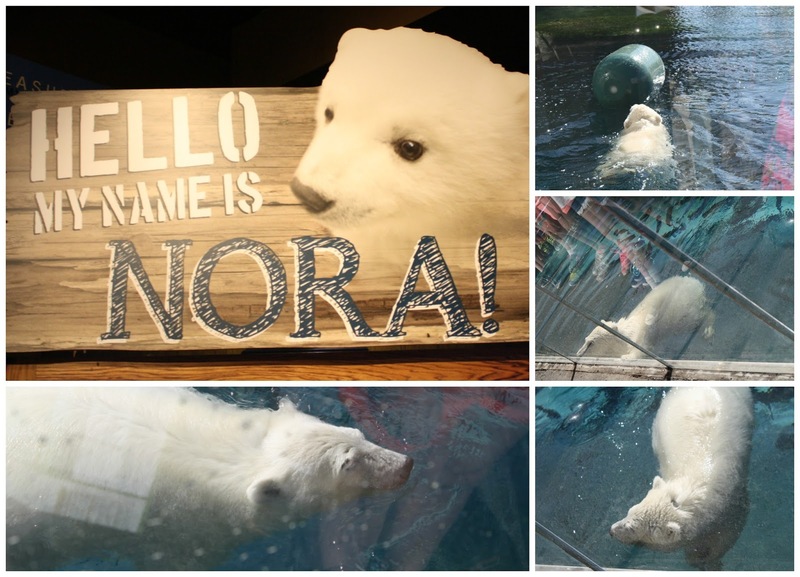 A must is to get to the zoo early, not only will you beat the heat, but you can view Nora the polar bear cub! Nora is in the polar bear habitat at Polar Frontier every day for about one hour (9:15-10:15am). Not familiar with Nora? She was born in November of last year and when her mom was not able to care for her, the zoo staff stepped in and help care for her and raise her. Not only does North America house the Polar Frontier it also has other animals like the black bear, brown bear, bald eagle, moose and more! Kids will also love playing on the polar playground and mining for fossils and gem stones! The Heart of Africa region features lions, giraffes, cheetahs, zebras, and vervet monkeys and more! Other features including giraffe feedings, camel rides, as well as dining facilities. 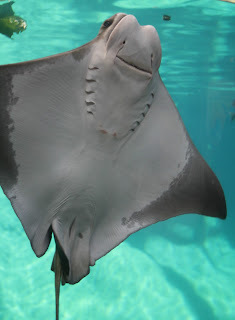 Dive into the depths of the oceans, explore the rocky coastline and discover animals that call different bodies of water home at the Shores & Aquarium. The shores region is most well known for the fish and manatee aquariums, known as "Discovery Reef" and "Manatee Coast". 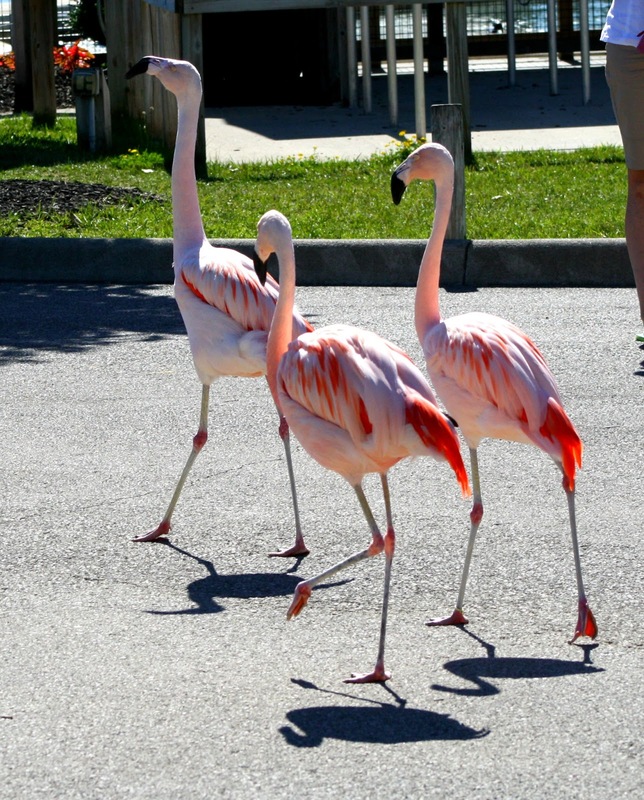 In addition to the indoor aquariums, the shores region also features exhibits of American flamingos, American alligators, and Humboldt penguins. Encounter Asian elephants, rhinos, tigers, sun bears and more in the Asian Quest! Visitors enter Asia Quest pass a waterfall, travel through a cave and walk through a forest. 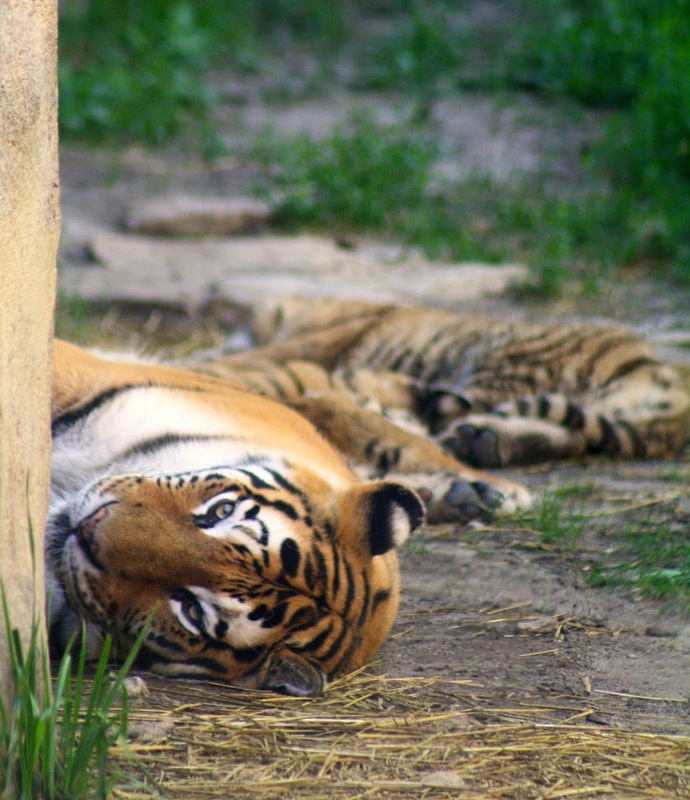 You honestly feel like you are n Asia and experiencing the animals up close! separated by the rock walls and glass. Venture deep into Congo and explore the misty trail of the jungle. Wander along the shaded paths to discover primates, cats, hogs and more that call the African forest home. Explore the land down under of the Australian outback, where you can do a walk about among kangaroos, possibly catch a koala awake (they sleep 18-20 hours a day) and more. While there a fun area to explore is the Pirate Island Treasure hunt. 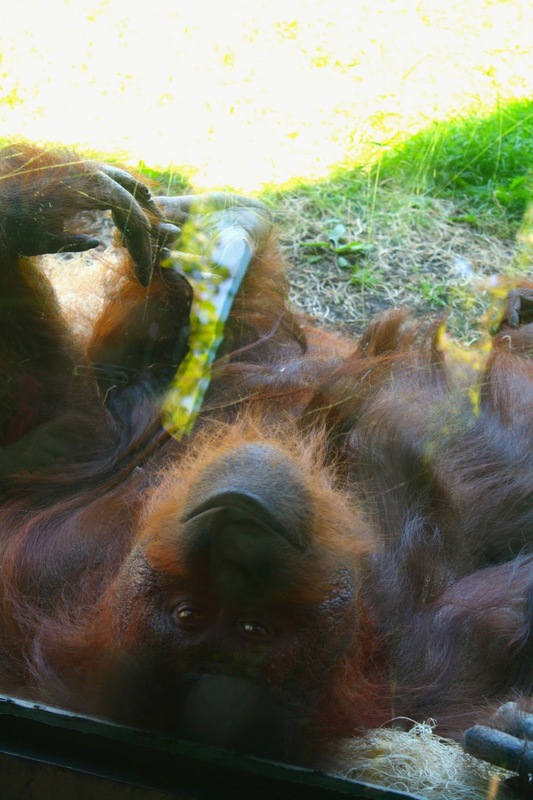 It is an additional $3 for non members or $2 for zoo members. It was worth the money, the kids loved it! You will be taken away on a Pirate Island Boat Ride, where you can see realistic, life-size, animated pirates and various animal figures. Be on the watch for a specific item and kids will score a prize at the end! You may get slightly wet! We ate lunch in Australia and it was quite affordable! We had our own water bottles, so we just refilled those as needed. For lunch the four of us split two meals (chicken tenders and fries/wrap and fruit). Loved that we had an option to get a fruit cup instead of two servings of fries. It was a little less then $20 for the four of us to eat lunch! Jungle Jacks Landing is a seasonal Zoo region open from Spring to Fall. Inside Jungle Jacks Landing you’ll find 13 family fun rides, Stingray Bay, Animal Encounters Village and Colo’s Cove Picnic Grove. 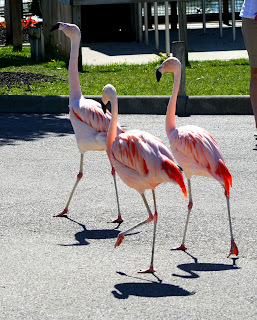 While we did not participate in any of the rides, the kids loved the animal encounters and watching the flamingos stroll around for their daily walk! 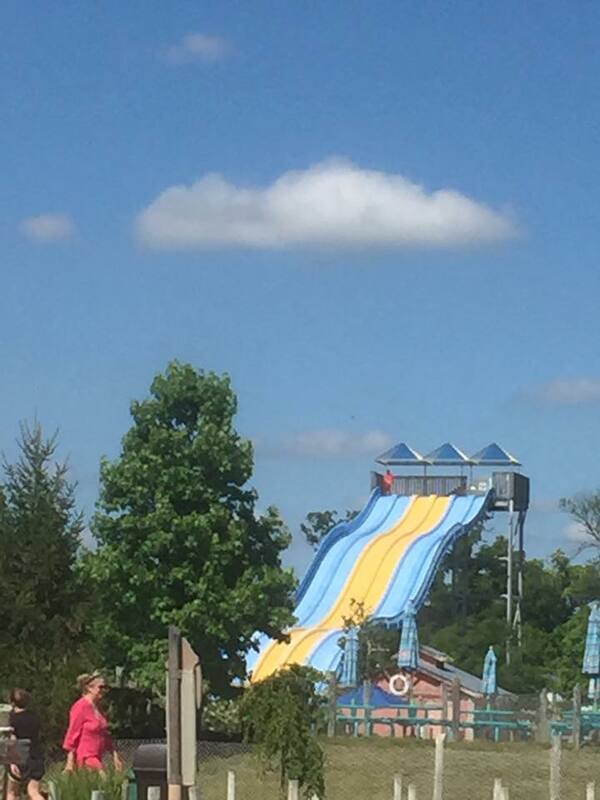 A nice way to cool off on a hot summer day is at Zoombezi Bay! It is located right next door to the zoo, but I highly suggest you doing them on separate days! After spending over 5 hours at the zoo, there was so way we were up to doing both in same day, so we did Zoombezi Bay on the next day! 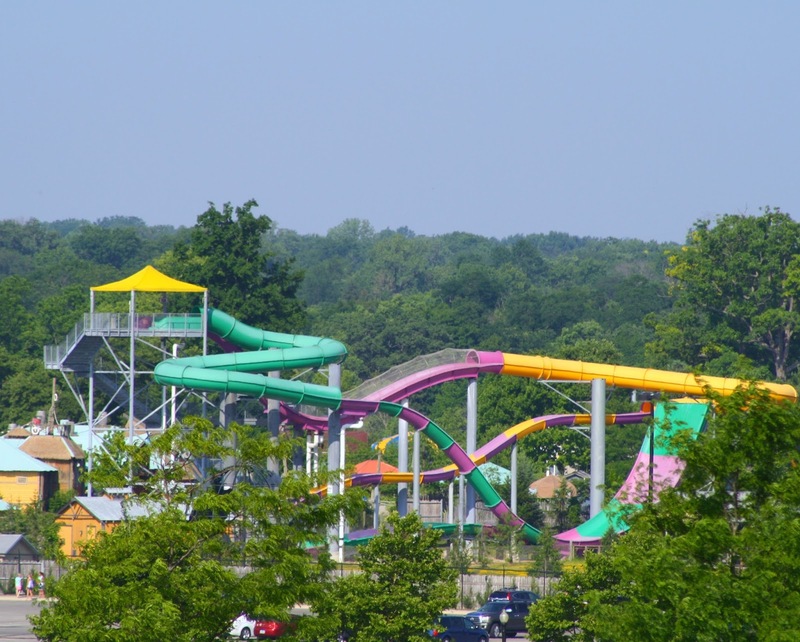 Zoombezi Bay is Central Ohio's premier water park that is home to some of the most exhilarating water slides around! The 22-acre park features 17 state of the art water slides, a wave pool, an action river, an adults-only lazy river, private cabanas, children’s interactive play structure with 100 water features and much, much more. There are 17 slides, but I will just point out a few of our favorite! Dropping from a 55-foot start tub to reach unmatched speeds of 24 mph,the Cyclone is an extreme four-person raft cruises into the largest enclosed reducing -radius tunnel in the world. Hold on tight as you feel the wrath of Cyclone’s high banking drops and huge splashdowns. Raft transport is complimentary. It’s a race to the finish as you go head-first down Dolphin Dash, a 6-lane mat racer. Starting 51 feet up in the air and longer than a football field, Dolphin Dash is fun for the whole family in this high speed water slide. Whip around the snakes tail again and again as the Sea Snakes drop you out into the splash pool. 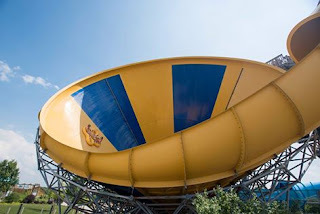 Starting out from a 51 foot tower, these bowl slides challenge riders to hold on for over 200 feet of acceleration and circular motion as the screams get louder and louder. Plummeting on a one or two person tube at Sea Tubes, thrill seekers experience all the twists, sudden drops and tunnels that the Sea Tubes dares you to take on. The legend of the sea says these are the fastest slides in the park! For the 2016 season, Zoombezi bay transformed its former Tahitian Twister slide to a new slide, now known as the Soundsurfer, "King of the beats." This new attraction features colorful LED lights, and also plays music that guests choose at the top of the tower before getting on the slide. If you have little ones who are not tall enough for the bigger slides, then head on over to the kiddie area! Just next door from Baboon lagoon, this area is just for the little tykes. 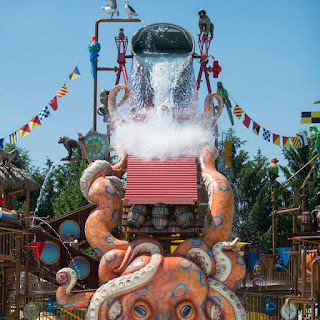 It’s 4,000 square foot heated-water playground features 12 marine animal play structures and eases in from zero to 12-14 inches deep. Watch them giggle and have fun on slides their size! Your Admission to Zoombezi Bay also includes entry into the Columbus Zoo and Aquarium on the day of your visit. Guests may exit the park to visit the Zoo, their car or attractions inside at Jungle Jack's Landing (additional fees required to ride rides). A handstamp or receipt will be needed to re-enter Zoombezi Bay. 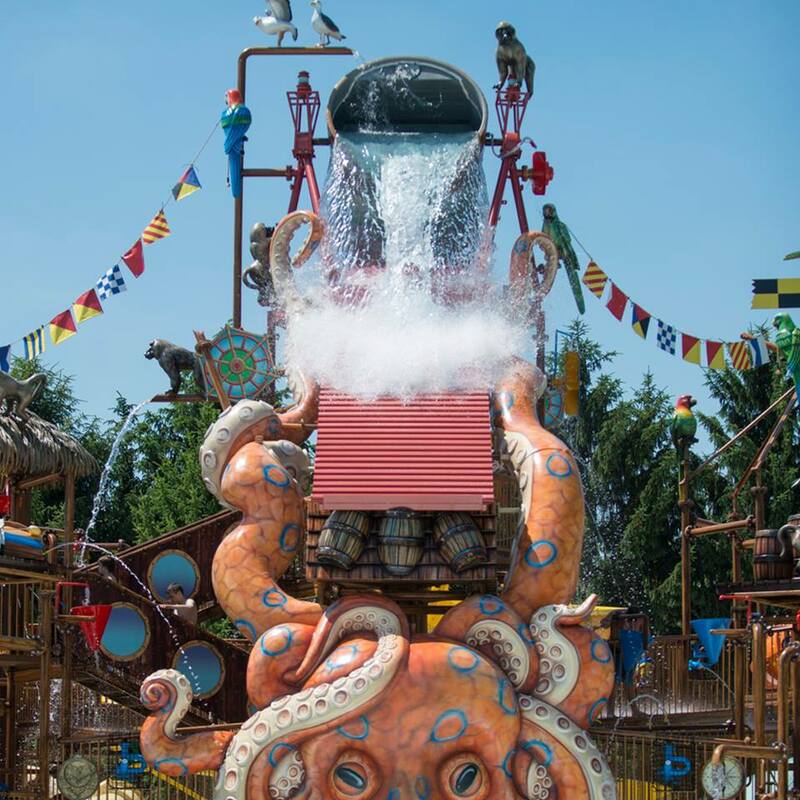 If you are looking for a fun day with the family, then take a trip to Zoombezi Bay! 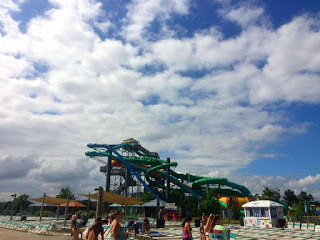 We had a blast and it was such an enjoyable water park, the kids are already asking when they can return! We are already planning another trip back next summer! Want to plan a weekend trip to Dublin? You can get full details on the different packages here. Stay tuned for part two, where we will take you downtown, introduce you to Leatherlips and more! Disclosure of Material Connection: I received 4 tickets for free and a hotel stay in the hope that I would mention it on my blog. Regardless, I only recommend products or services I use personally and believe will be good for my readers. I am disclosing this in accordance with the Federal Trade Commission’s 16 CFR, Part 255: “Guides Concerning the Use of Endorsements and Testimonials in Advertising.